There are a lot of different types of cases for your smartphone, but many of them look cheap, or frankly, boring. Not so the cases in the RÖK collection. 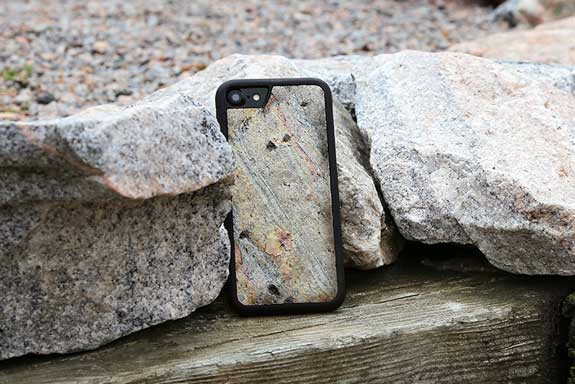 These striking cases are made from real stone, and are unlike anything else you’ll have seen before. If you have an iPhone, a Samsung Galaxy flagship, a Google Pixel, or the LG V20, and are looking for a stylish case to protect it, then the RÖK range certainly fits the bill. The cases are available in a selection of styles -- Space, Meteor, Aztec, Mars, Crater, Canyon, and Volcanic -- and each one is handmade and entirely unique. They aren’t 100 percent stone of course -- that would be crazy -- but are in fact made of a rubberized shock-absorbing material with a thin slice of slate on the back, making them lightweight and practical. I reviewed the RÖK cases here, and have to say I really love my Meteor one. The cases are priced at a reasonable $39.95 with free worldwide shipping (WÜD also makes wood cases priced from $29.95), but we’ve got two up for grabs right here. The giveaway runs from today, June 28, until July 28, and the cases will be provided directly by WÜD to the winners. The competition is open to anywhere in the world. The winners will be selected at random, and contacted via email. If you’re one of the lucky people, you’ll need to tell WÜD the phone you have, and the style of case you would like. If a winner does not reply to the email within two days, a replacement winner will be chosen. You can enter below. Use as many entries as possible to increase your chances. Good luck.